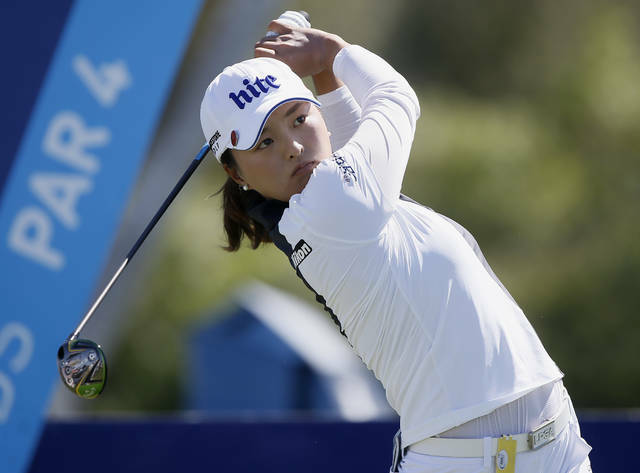 RANCHO MIRAGE, Calif. (AP) — Jin Young Ko won the ANA Inspiration for her first major title, celebrated with the traditional winner’s leap into Poppie’s Pond and will jump to No. 1 in the world ranking. She wasn’t all that excited about the No. 1 spot in the world. Ko gave caddie David Brooker his third victory in the event. 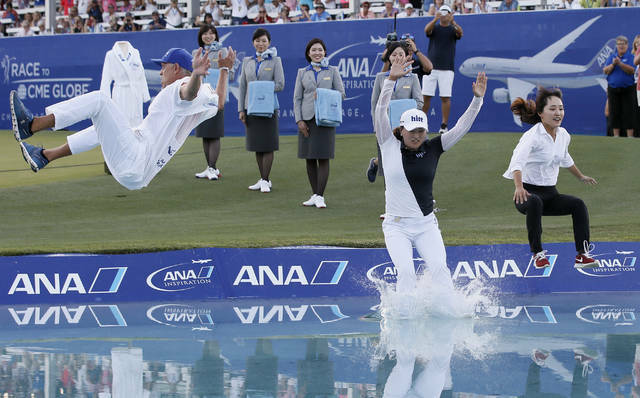 The Englishman also leaped into Poppie’s Pond with Grace Park in 2004 and Lorena Ochoa in 2008. “I had couple miss shot, but I think it will be fine,” she said.